Can You Have a Waterproof Basement? Believe it or not, your home was never meant to have a completely waterproof basement. The cement that was used in its construction is naturally porous. Furthermore, most are built in separate sections, and a concrete-against-concrete seam is certainly not waterproof. Many of us do different things to try to have a waterproof basement. Things like moisture resistant paints or patching materials may help in the short term, but aren’t permanent solutions. 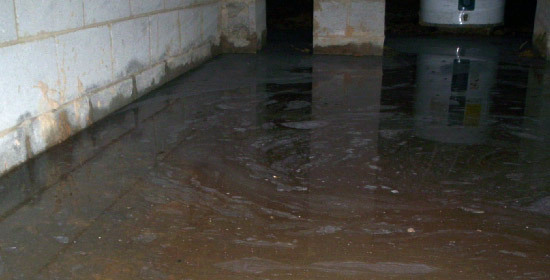 It’s a common misconception that basement waterproofing involves sealing water out of the foundation. The best permanent solution for any homeowner is the installation of perimeter drainage tile around the interior and/or the exterior of your home’s foundation. In truth, it’s all about redirecting the water away from the foundation, and not allowing it to build up against the foundation floors and walls. Contact us if you have any questions about basement waterproofing.